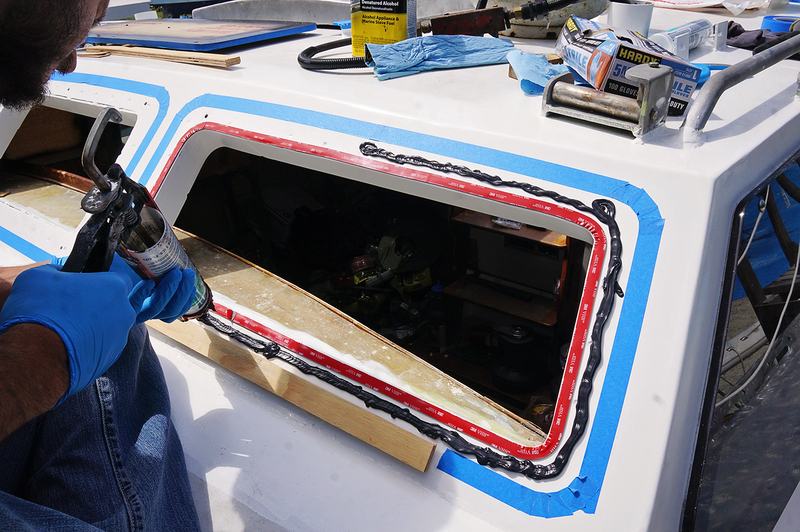 This entry was posted in Boat work - Trisalu 37 and tagged plexi, windows. Bookmark the permalink. Wow! It looks like you guys have made some great progress! 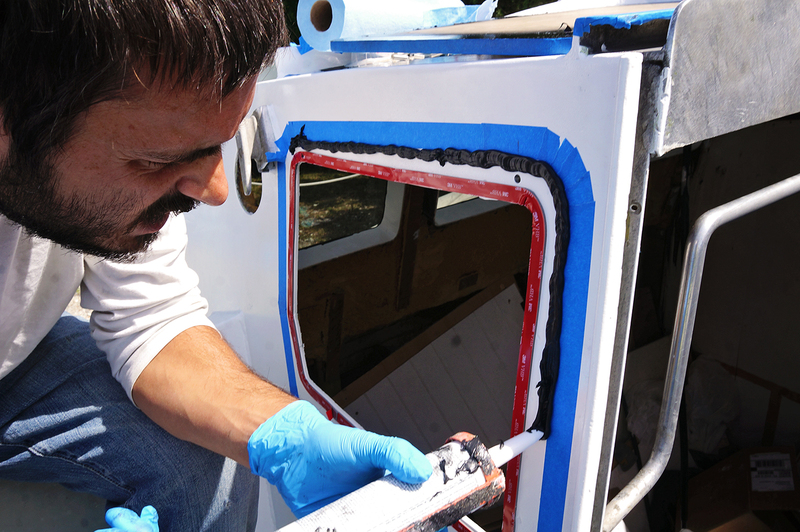 Installing your own windows can certainly be a challenge, but detailed posts like this really help make it easier. Great job, guys! Thanks so much for sharing! I wonder how if plexiglass is better than just glass windows. My mom was suggesting that my husband and I get plexiglass windows for our boat, but I don’t know what we’re gonna do yet. Hopefully, we can figure it out before our trip to the lake next week. Hi Audrey. 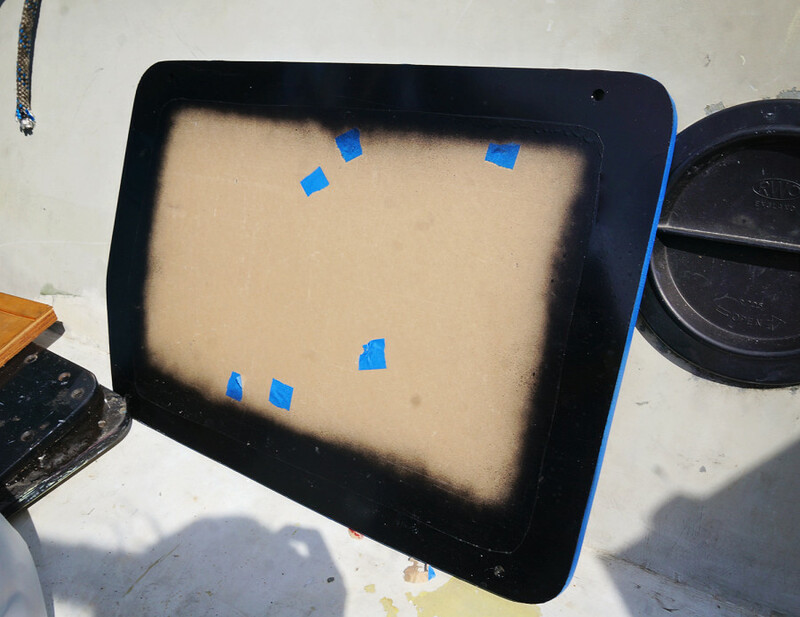 There can be a lot of questions about plexiglass and what is right for each boat, and I hope you were able to figure out a solution that works best for you! The tape idea was a nice one. You definitely want to make it easier to continue the process. 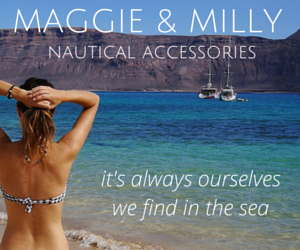 Hi ,just recently found you blog/website. 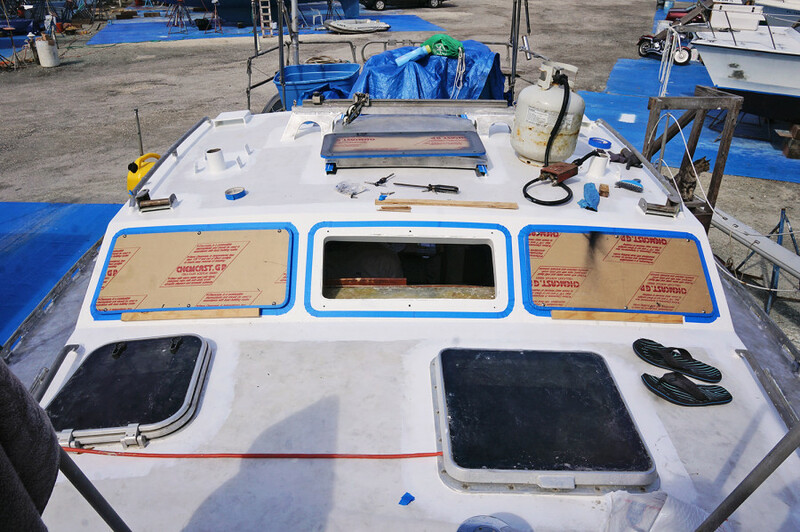 Your boat project makes mine look like a easy weekend , which it is not. You must be glad to have the boat water tight from the top. The most important leaks to seal! 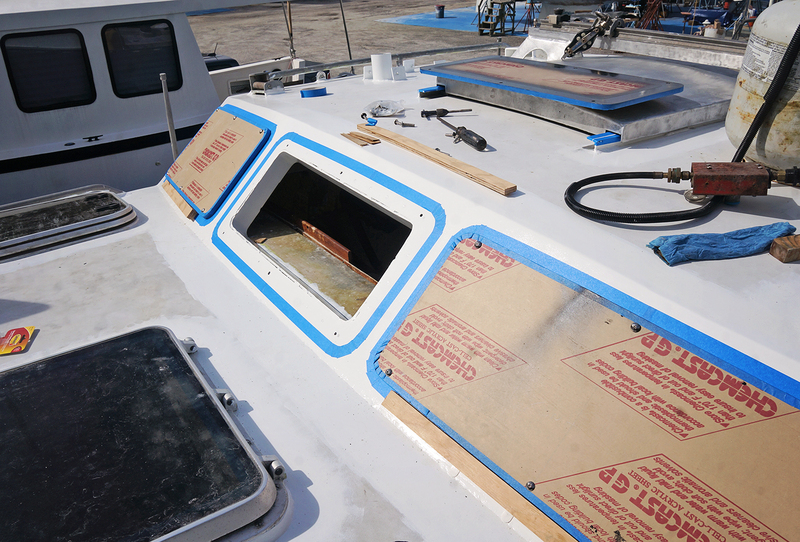 Looking at all the careful work you had to go to to install the Windows makes me understand why most production boats use pre framed Windows ,even if they are expensive. (Boat factory workers are not always the most skilled ….). 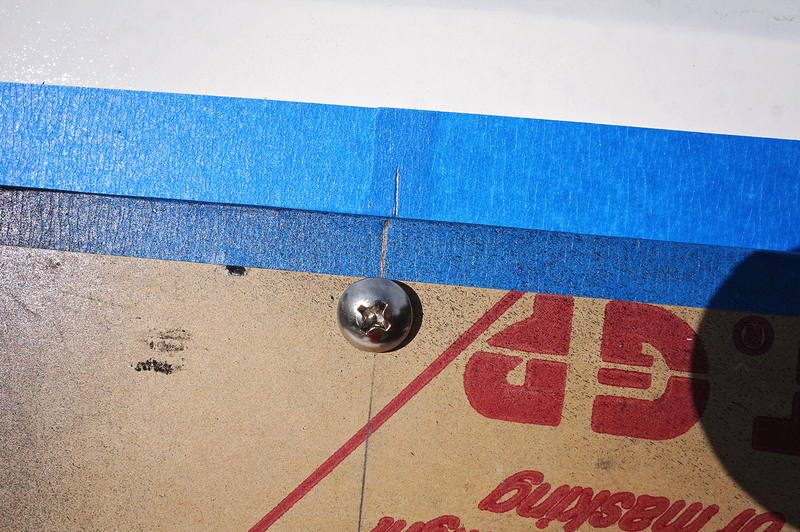 I liked your idea of the VHB tape inside the caulk, luckily you had room. Stopping the caulk getting on the the tape must have been hard, or maybe it did happen. I was suprised at you use of the silicone caulk. It is so hard to work with , clean up etc, you did come up with a better plan 2nd time around. Did you reject Buytl Tape because it was not compatible with the plexiglass? Or could you have used a all VHB and forget the caulk? (And use bolts with a sealing washer or O-ring under the head). The other caulk/adhesive could have been the same stuff they use for car windows which is not a silicone and has much better adhesion. I have Windows that were installed with screws instead of bolts so they came loose over time when the wood inside the fiberglass got soft, this lead to caulk/sealant failure , leaks , wood rot wtc. It’s incredibly hard to come up with the best way to redo what has failed in the past. The thinking out a plan is often way more work than the actual job! 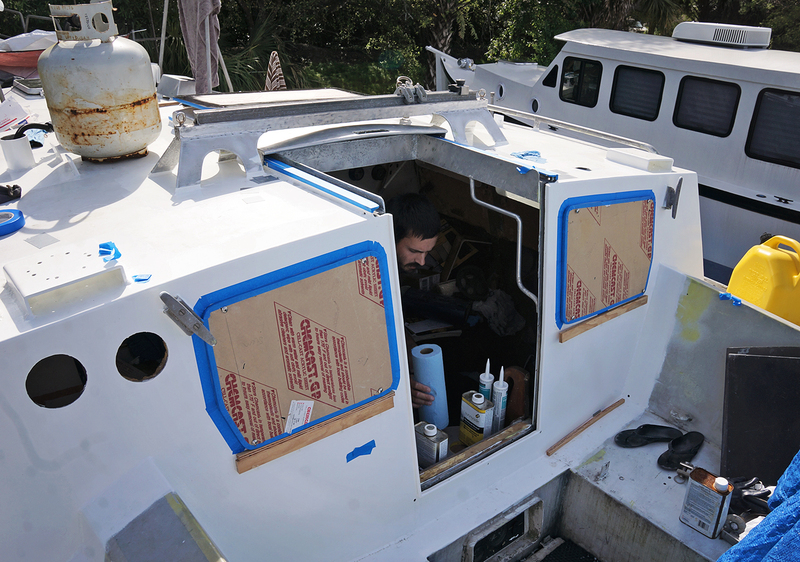 I try not to just follow what was done in the past which can often be a boatyard compromise of cost vs quality. I enjoy your style, I look forward to reading more of your project to help me with mine. Ps yes I know you posted this 6 months ago. Nice window installing! i hope it will be last forever!